For many football players, having the chance to play professionally is a dream come true. However, having the opportunity to play for your hometown team is something that many players don’t get the chance to experience. For W.J. Mouat graduate Boseko Lokombo, that dream has become a reality. Boseko, who played at the University of Oregon, a Division I NCAA school, was drafted in 2013 by the BC Lions in the 3rd round at 21st overall. Although he was drafted by the Lions, he wanted to wait another year to take a shot at the NFL and decided to finish up his degree. One year after being drafted by the Lions, he entered the NFL combine and posted good numbers. However, he faced a major setback – he suffered a labral tear in his shoulder which required surgery and rehabilitation throughout the summer. Soon, his dream of playing in the NFL became more uncertain than ever before. 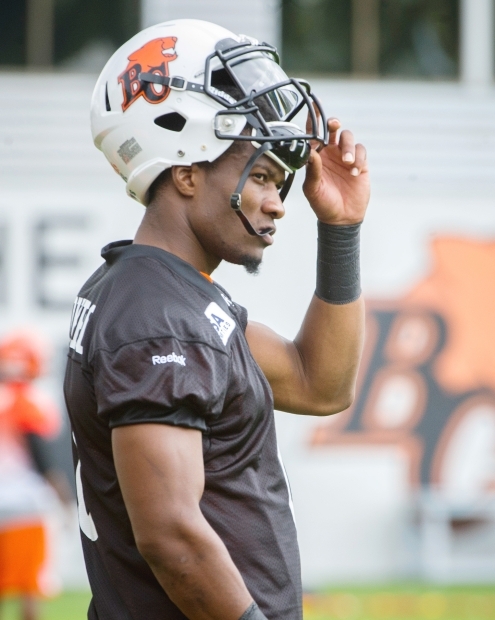 Boseko, who signed with the Lions last September, is now finding himself at his very first BC Lions Training Camp and finding confidence within himself, his teammates, and the Lions’ new head coach, Jeff Tedford. As for his thoughts on joining his hometown team, Boseko is definitely excited to be a part of the Lions. For those who want to see him in action, you can catch him at the BC Lions pre-season game on Friday, June 19 at 7:00pm at Thunderbird Stadium at UBC. It’s never easy when you’re competing at the professional level for a spot on a CFL team, especially at a BC Lions training camp. However, for Casey Chin, a second year BC Lions linebacker and a previous 2010 Team BC member that won bronze at the Football Canada Cup, the learning curve isn’t as steep as it used to be. “Just coming into this season, I’m a lot more confident,” says Casey. Casey, a product of New Westminster Secondary School and Simon Fraser University, was drafted last year to the Lions as the 3rd round pick at 27th overall. Last year, Casey saw action on two to three different special teams plays and is looking forward to seeing more action on the field. This past year, Casey has also been active on the Football BC circuit as a guest coach at several camps, where he has worked with athletes who have dreams of playing at the college and professional level. 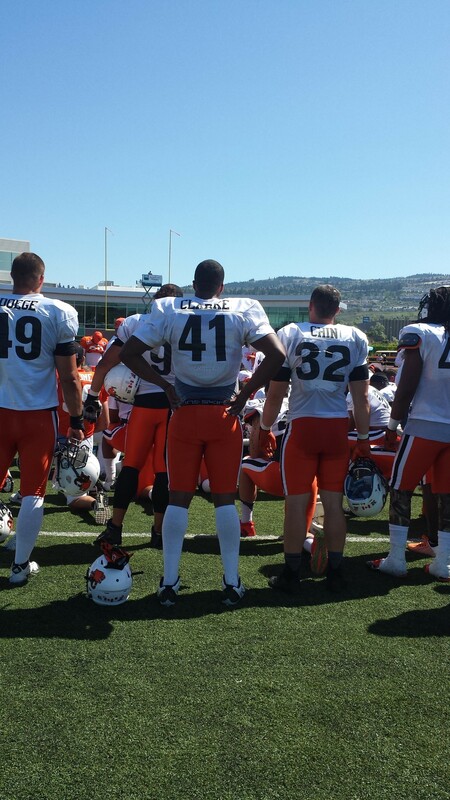 Casey’s first game of the 2015 season will happen tonight at 6:30pm PT as the BC Lions take on the Calgary Stampeders. Best of luck this season, Casey!